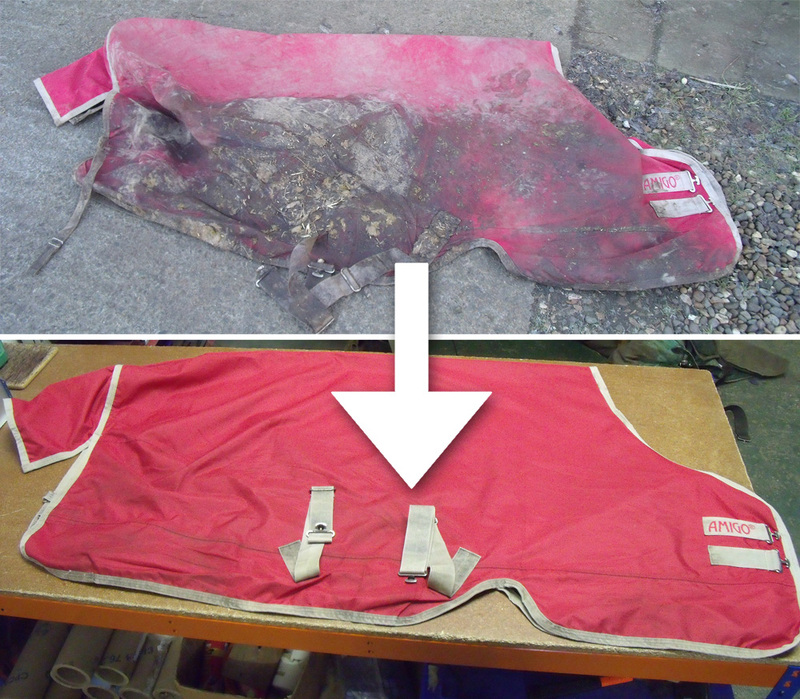 Malton Equine Laundry can help you save time and money with our premium quality rug laundry, reproofing and repair service. We aim to make your rugs as good as new, as quickly as possible (our typical turnound time is just 1 week) . “They look brilliant! I didn’t think they were my rugs!” Says Mrs M, from Malton - This is very typical of the response we get from our customers! Your rugs will last longer, giving you more money to spend on your horse. No scrubbing and no mess for you. We are renowned for the high quality of our repairs. Reduce the risk of disease - everything we wash is treated with an antibacterial rinse as standard. We also have fantastic antifungal and antiviral products we can use to treat rugs that have been exposed to conditions such as ringworm and strangles. To save you space and time, all rugs are returned packed away as small as possible, in individually sealed clear plastic bags, perfect for storing away. Your rugs will stay clean and fresh until you need them. 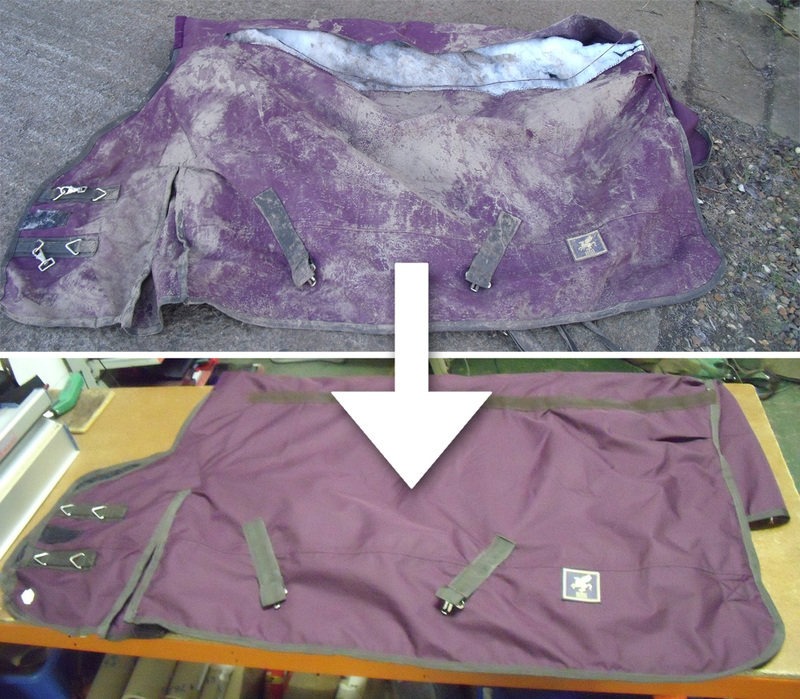 Its not just rugs – we can also wash numnahs, boots and other equestrian equipment. We can take the stress away too, by collecting and delivering your rugs. All work is carried out at our premises in Malton. We do not send rugs away, so you can rest assured your rugs are safe. Our experienced and dedicated team are waiting for your call on 01653 699899. Copyright 2015 Malton Equine Laundry. Site by Computer FX.